Marissa Farrar: Sneaking into Day Seven of Creepfest with 'Monsters Unmasked' - a Zombie Novella with Heart. Sneaking into Day Seven of Creepfest with 'Monsters Unmasked' - a Zombie Novella with Heart. 'Monsters Unmasked' in set in the time of a zombie apocalypse, but the zombies aren't the only monsters in the book. The real monsters are the ones who are left behind--the men who take advantage of anything and anyone who might help them survive and prosper in this new world. Right from the start of the novella, the author plunges the reader into a world of real life horror. Ellen Hale (the main character) first witnesses the brutal murder of her brother and is then kidnapped. She lives as a slave; sexually abused day after day. But finally she is rescued and taken to The Compound. Here she tries to rebuild her shattered self, though she fears she might become a monster herself. 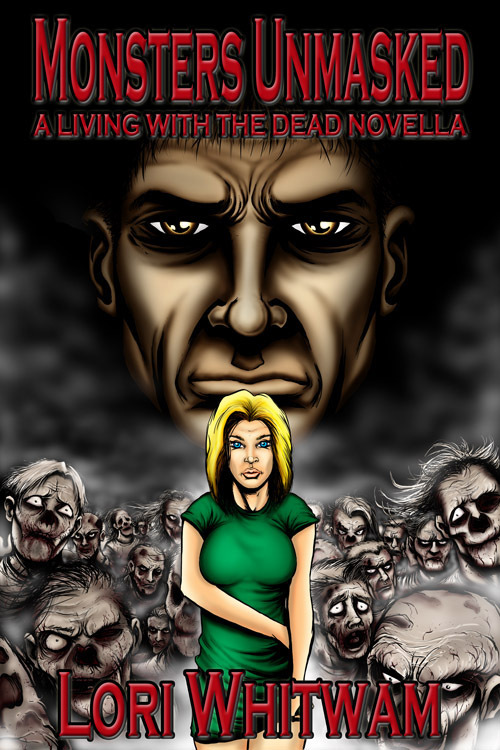 While during a battle to keep zombies out of The Compound, she meets the fearsome Quinn. He is a big, heavily tattooed brute, but he saves her life, and from here starts a touching relationship. Unlike most zombie stories, 'Monsters Unmasked' is less about the zombies and more about the survivors. The zombies are described almost as an after thought. There are some parts during the attacks which are scary, but for the most part it's the other survivors who dish out the horror. The theme of no one being what they seem is continued throughout the book as social stereotypes are broken down in this new, terrifying world. I really loved Quinn's character--I mean really loved his character! Who doesn't love a bad boy turned good? There were some parts where I didn't totally buy into Ellen. She made some snarly remarks at a time when I thought most people would be on the verge of killing themselves. Maybe this just showed her strength of character, but I think she might have been a bit too resilient considering what she goes through. I read 'Monster Unmasked' in one sitting. I wish it was longer but this isn't a criticism of the book, but a compliment! I'd just gotten into Ellen's world and her relationship with Quinn when it all ended! The story is emotional, redemptive and sad. Anyone who has enjoyed 'The Walking Dead' will also enjoy 'Monsters Unmasked'. Monsters Unmasked can be bought from Amazon for $2.99! Lori spent her early years reading books in a tree in northern West Virginia. She currently lives in a northwestern suburb of the Twin Cities for reasons that escape her, but were probably good ones at the time. Since arriving in Minnesota in 1996, she has worked in public libraries, written advertising copy for wastewater treatment equipment, and managed a holistic veterinary clinic. Parents of a grown son, Lori and her husband were high school sweethearts, and he manages to love her in spite of herself. Some of his duties include making sure she always has fresh coffee and safe tires, trying to teach her to use coupons, and convincing the state police to spring her from house arrest in her hotel room in time for a very important concert. That last one only happened once – so far – but she still really, really appreciates it. 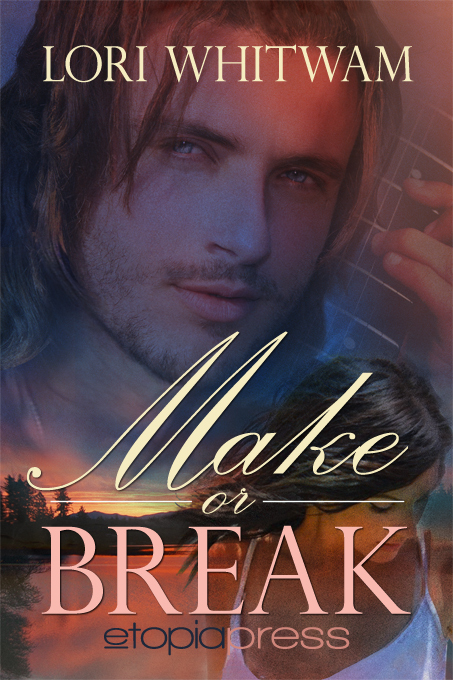 Her full length romance novel, 'Make or Break' is also available to buy. 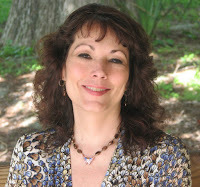 You can find out more about Lori and where to buy her books at her website. I feel the same about the excellence of this story, bought it on the sly when I first met Lori and had an inkling it wasn't "all zombies" (which I hate) It didn't disappoint. I hope Lori writes more horror someday! Happy Creepfest! One thing the book definitely isn't is all zombies! Thanks for stopping by, Rebecca! A great story, and very unexpected. Nice review!